Six years after I first heard them, the statistics still haunt me: Eighty-six percent of Black children in the fourth grade read and do math below their grade level. Black girls between the ages of 15 and 24 represent the greatest number of new HIV infections. Homicide is the leading cause of death for our boys. The village is on fire! And our love is the saving, healing water that legions of our children are literally dying for. When we listen we hear their cries rising above the flames. Their voices carry the incendiary pain and humiliation of intergenerational poverty that turns dreams to ashes: days of missed meals, uncertain safety and poorly resourced schools that plenish the pipeline to prison. These are among the many grievous thefts of potential impoverishing the lives of Black children in the land of plenty, a land made rich and powerful on the backs of our ancestors. And it’s happening on our watch. Attorney General Eric Holder charged a national task force with investigating how exposure to violence impacts children. I attended his December 14 meeting at which the culminating findings in the Defending Childhood report were delivered. The violence that children of this nation are subjected to in their homes and communities and glamorized in the media is relentless and chilling. Expert after expert cautioned that exposure to violence traumatizes children and that, unresolved, those traumas easily lead to deep depression and dysfunctional behaviors. These socially disruptive behaviors—our young people’s cries for help—lead the nightly news from coast to coast, rousing shame and anxiety. We hold our collective breath and pray, Lord, don’t let the crazed one be one of us. But the question that is never asked and answered is why are these young people acting out? What I have come to know in my personal and professional life is this: Understanding the cause of our pain and taking action to address it are crucial to our healing. With understanding and action, we heal, grow and thrive in profound ways. Held up proudly, nurtured and supported, we have in past generations succeeded despite the often dire economic circumstances, troubled families and traumas that many of us endured coming of age. Who among us isn’t carrying some hurt or depression or self-sabotaging habit we yet need to break? We are a remarkable species, living at an extraordinary time in history, a marvel of creation, human and divine. Love is the divine aspect of our being. It is restorative and healing and elevates everything it touches. That’s the promise. Love, God, Jehovah, Yahweh, Allah—call It what you will. Originating Spirit gave birth to all existence. It’s the energy that governs and balances all in creation, every cell in every living thing. It is the unchanging, unfailing, eternal aspect of our being. Spiritual awareness inspires the love, walk-on-water faith, courage and creativity needed to heal everything within us and around us, including the damage done to our people over the seas and centuries. With love and caring we can create the beautiful future we want. Among my baby-boomer peers are real-world exemplars of the good that is possible when a generation cares and acts out of love: We build schools and cultural institutions, develop businesses, write great books, compose great music and create dances that elevate the spirit. The generation that inspired me –– that inspired the creation of Essence and the building of other Black institutions –– stopped a war, moved young people out of gangs and into breakfast programs that often gave school children the only nutritious meal they had each day. We didn’t pull a trigger to settle a beef or join gangs to make family. Even if our own family was broken, our community was whole and stood in the gap. Grownups did not fear or neglect the young. They loved, protected and corrected us. Today, under-resourced Black children have been all but discarded. While there are no people on earth more kind, caring and creative than us Black folks, a certain world-weariness has crept into our days. As a group, we able African Americans have half-stepped around our moral responsibility to care for “the least of these.” We cannot minimize the external threats to Black advancement, but our greatest challenges are endemic. Ours is a spiritual crisis. Our spirit is fed by faith and nourished in community. But the social bonds that once tied us to one another are frayed. We have forgotten who we are and what we’re supposed to be doing here; forgotten that “we are each other’s keeper…each other’s magnitude and bond,” as the late, great Pulitzer Prize-winning poet Gwendolyn Brooks reminded us. Like our foreparents, who made possible the privileges we now take for granted, we must live for a purpose greater than the acquisition and accumulation of more stuff to stumble over, clutter our path and obstruct our vision. The terrain we traverse today is not even the rough side of the mountain; the rough side is behind us, cleared for us by those who came before us. We are uniquely positioned among people of African descent to make that final assault on the summit of our aspirations, if we will commit to doing what has become most difficult for us as a people: link arms and aims, make a plan and get along with one another to see it through. We say that God is love. But love is a verb. It requires us to do something, to actively care for ourselves and serve one another from the overflow. In the image and likeness of that Love and caring that gives Itself away to the world, we can move strategically, creatively toward economic and social justice. No obstructions strewn in our path will deter or impede us when we stand for the high purpose and move forward—together. But we’ve got to move. We’ve got to push Black leaders to humble themselves, allow love, not ego, to lead. And if they won’t lead, then they must follow and bring their constituents and congregants along. Our children cannot continue to die outside the temple doors while we “praise His holy name” within. We are all here on assignment. We honor God when caring for our vulnerable young. Hands that serve are holier than lips that pray. In January we celebrated the 150th anniversary of the signing of the Emancipation Proclamation. Just six years before that hard-won acknowledgment of our humanity on the long march toward freedom, the U.S. Supreme Court decided in Dred Scott v. Sandford (1857) that African Americans were “so far inferior that they had no rights which the white man was bound to respect.” But Frederick Douglass, even in the face of the Dred Scott decision, envisioned an end to slavery just down the road. If during the most despicable time in this nation’s history, a man who was born into slavery could lead abolitionists and a president to take a stand on the right side of history, let us not retreat from making the only moral choice before us in our time. We have everything we need: creativity, connectivity, education, resources, access, a history of triumph and a pantheon of way-showers. We can learn to work together better; choose healthier, life-sustaining behaviors; fill our hearts with love and gratitude and do this work that is ours to do. We can reclaim and secure the young lives we abandoned and rebuild the village. And we can do it well by mentoring. Mentoring—a low-cost, high-returns solution—works miracles. In the tradition of our ancestors, whether we are rich or poor, formally educated or not, and though none of our lives is perfect, we can provide a protective shield for the children. Done well and consistently, mentoring changes even the most challenged young lives. But when the call goes out for mentors, White women and men are the first respondents. Black women and men too often are not in the mix, while the wait lists at youth-serving organizations continue to swell with Black children, the vast majority of them our beautiful boys, waiting…. The National CARES Mentoring Movement, founded as Essence CARES in the wake of Hurricane Katrina, is committed to changing this in the now time! Before we began our work, there was no national infrastructure in place to engage desperately needed Black men and women volunteers. Operating in nearly 60 U.S. cities under the leadership of devoted volunteer community leaders, CARES is determined to ensure that all Black children needing guidance and role models are surrounded by a circle of caring, supportive adults who are committed to volunteering just one hour a week of their time as mentors. Because our program evaluators have determined that the stress of competing pressures is a major factor distracting many African Americans and diverting our energies away from critically needed engagement in mentoring today, CARES is building single-gender Wellness Mentor­ing Circles –– safe spaces, where mentors share their challenges and triumphs, support one another, build community among themselves and learn to manage stress. When we are healthy and whole we’re better equipped to support our children. This year, in more than a dozen cities, we are piloting programs with our partners that undergird our children academically, emotionally and socially. To date, CARES has recruited more than 125,000 mentors for upwards of 135,000 children. But it’s not enough. So I’m asking that you stand in the gap and volunteer an hour a week to help guide our young who need more caring adults in their lives. Our children losing ground need your congregation, your block association, your friends and family, they need our fraternities and sororities to take action. We need all hands on deck, and the best way to get others to step up is to get engaged ourselves and express the joy we feel and the healing that occurs when doing God’s work. 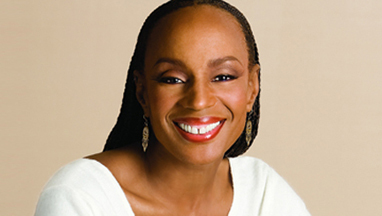 Susan L. Taylor is the founder and CEO of National CARES Mentoring Movement. For 27 years she served as the chief editor of Essence magazine. Learn more about the programs of National CARES at www.caresmentoring.org.